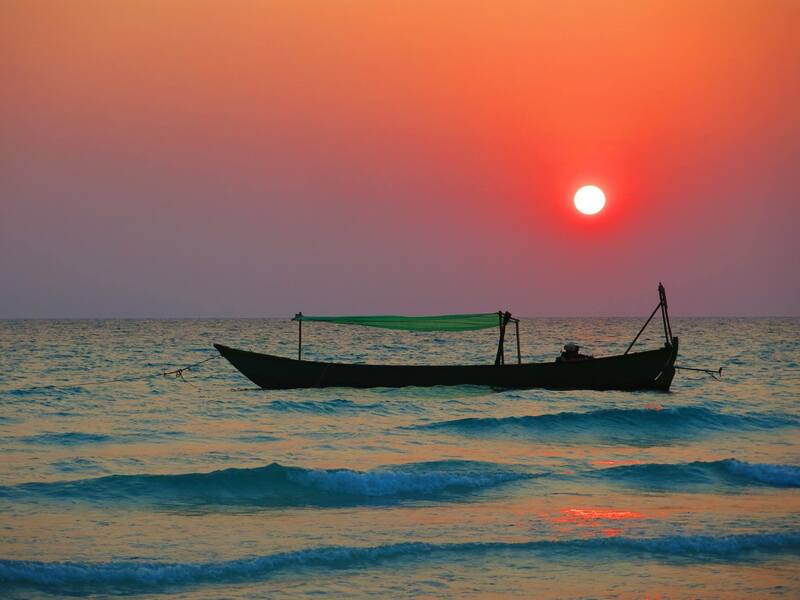 Can’t go wrong in KOH RONG, CAMBODIA! 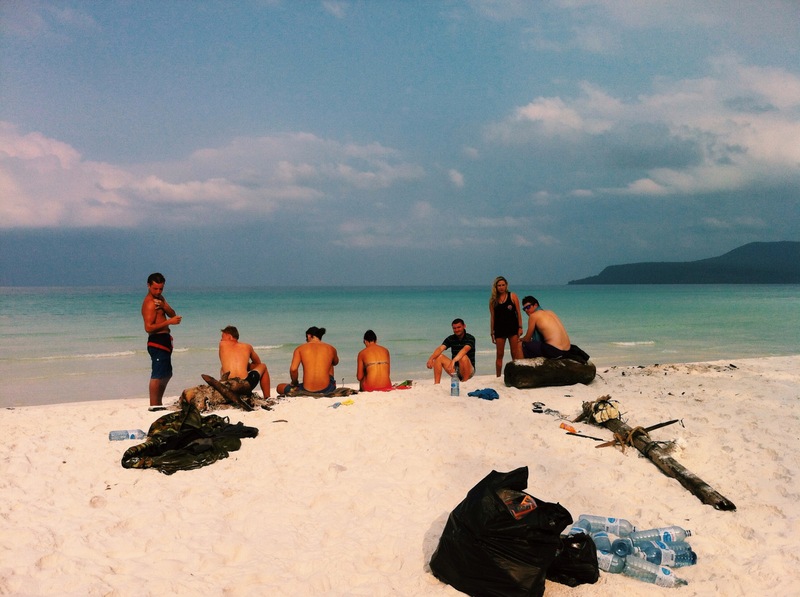 | REWRITING THE RULES OF LIFE, TRAVEL & BEYOND. 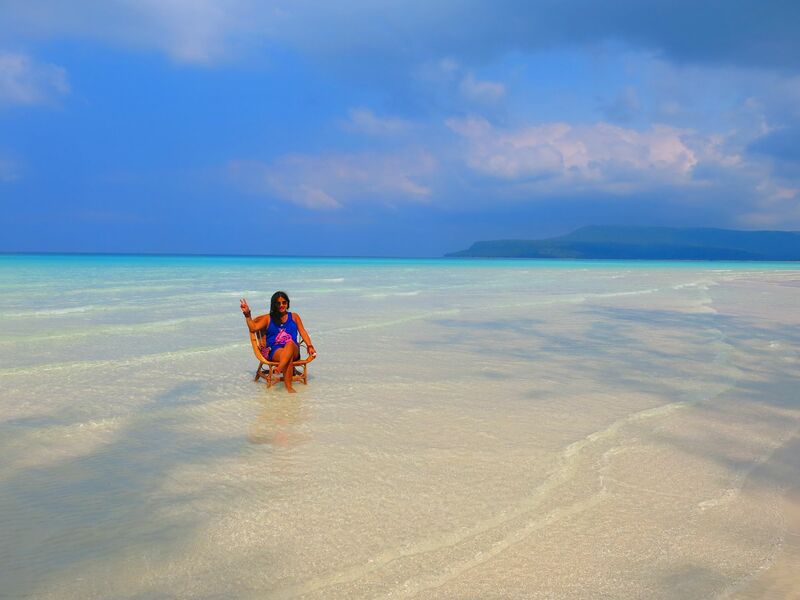 Can’t go wrong in KOH RONG, CAMBODIA! If you have never heard this phrase in your life before, you probably haven’t been here. 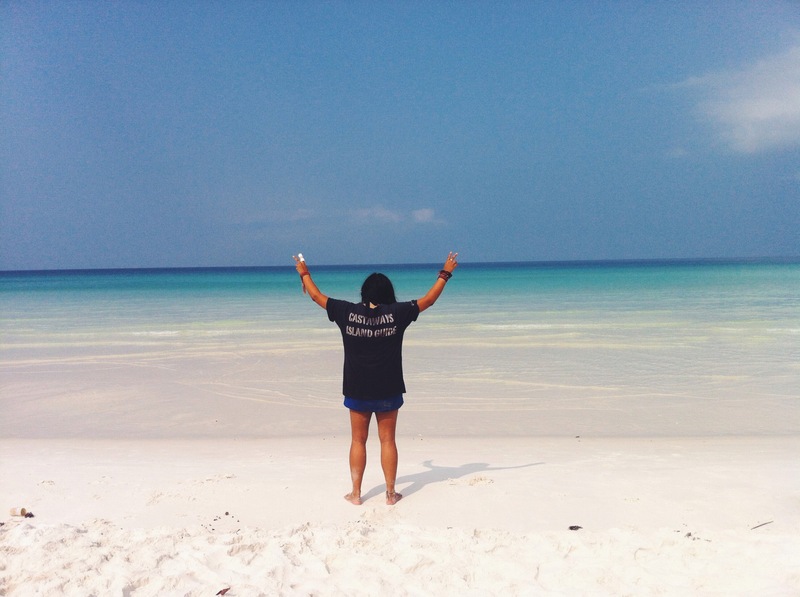 Let me tell you a lil’ story about one of the most beautiful places I had ever seen in South East Asia. Sometimes when I think about it, I wonder if it’s even real or if I was dreaming most of the time. 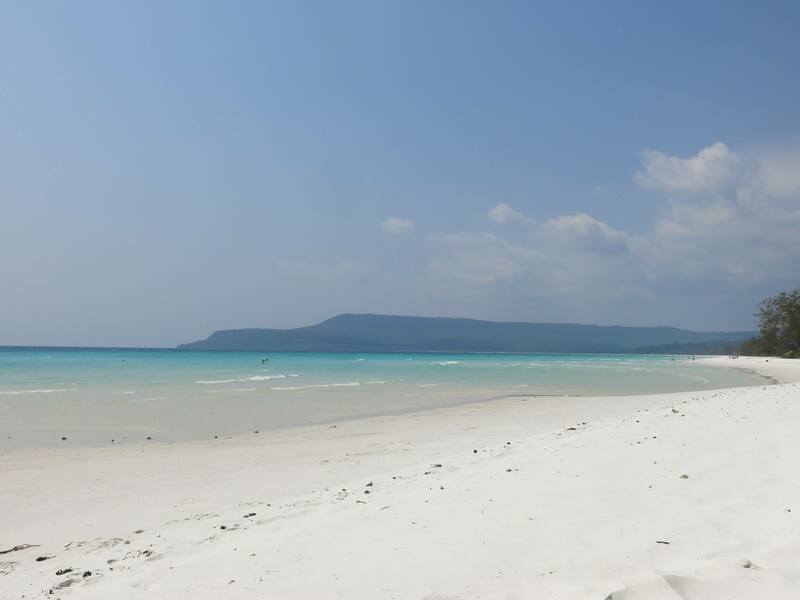 Koh Rong…the land of the unknown, in Cambodia is one of the greatest islands i’ve had the pleasure of seeing with my own eyes. After leaving Shitnoukville, we were excited to be island girls again. We stayed at a guesthouse called ‘White Rose’, where we met the greatest group of humans, and the days to come would be one hell of a way to end our trip together after two wild months. Sometimes you go to places, that just leaves you enchanted by everything it has to offer. 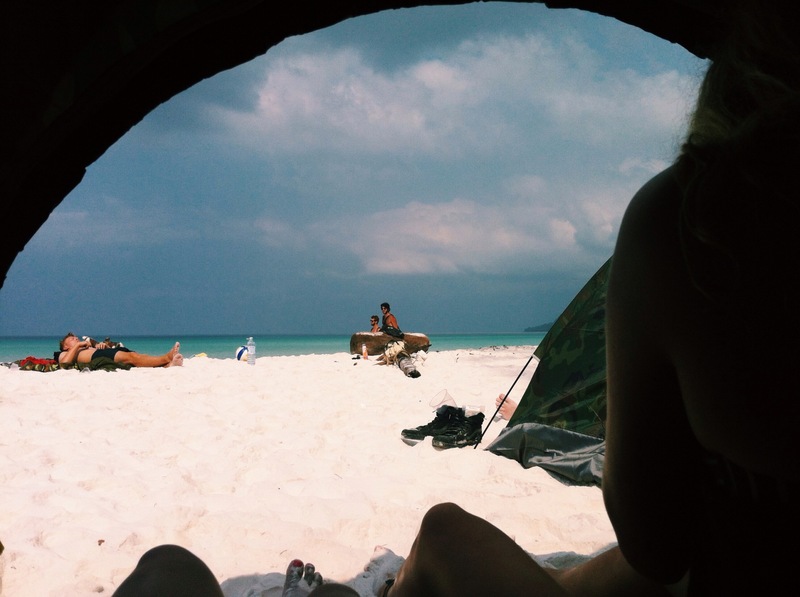 Koh Rong did exactly that. It left me enchanted in all its natural beauty. 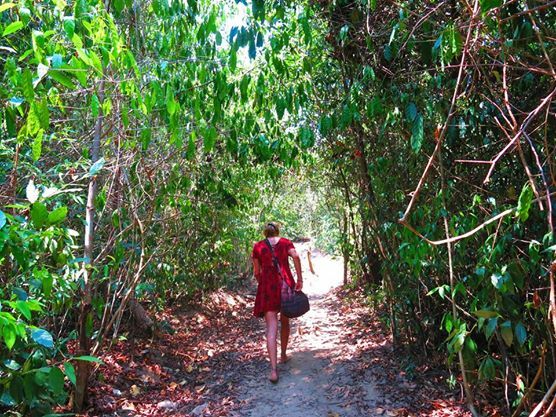 Jungle backdrop, walking treks and a beach that stretched infinitely. 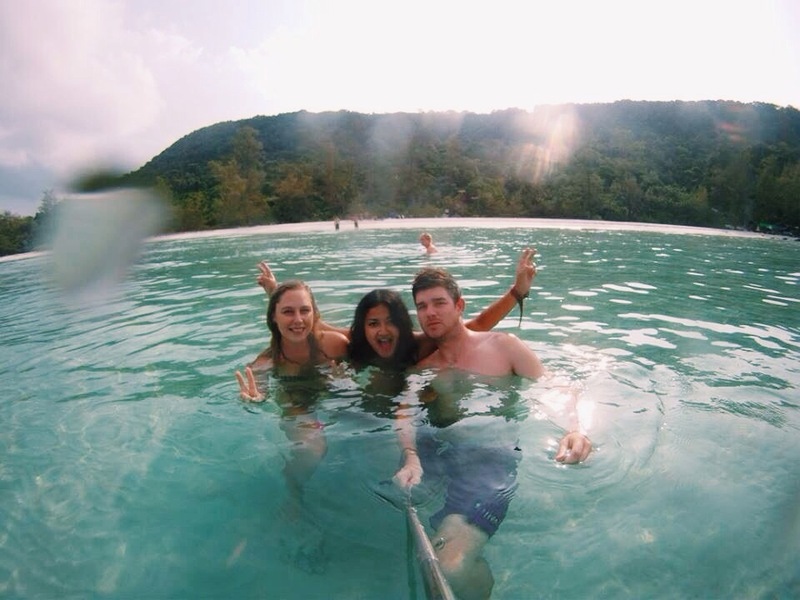 Crystal clear water, white sand, and a strip of chilled out bars, hostels and buzzing backpackers all excited to be on this very Island. I loved this island. I loved the atmosphere, the food, the people and the lifestyle. It was the very place you could come to after a crazy few months of travelling and just relax. No worries, no need for shoes, just you, a bottle of Khmer whiskey, and some $2 fried rice from Mr Runs. 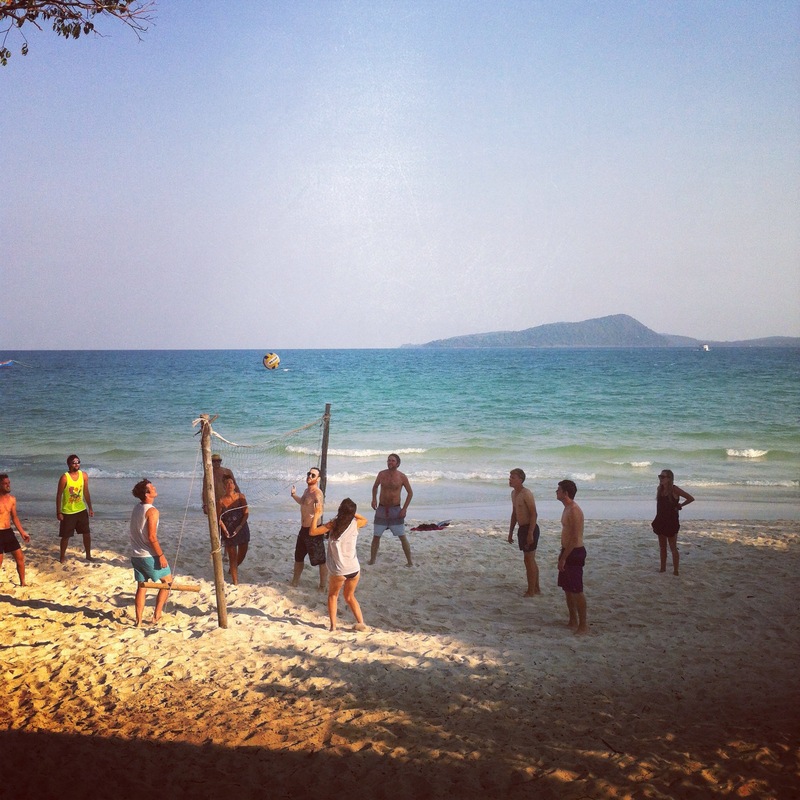 However, nothing really compares to being able to camp on the beach. My most memorable memory there. Imagine a rugged jungle terrain where snake warnings are in place, and ropes were needed to abseil down rocks. 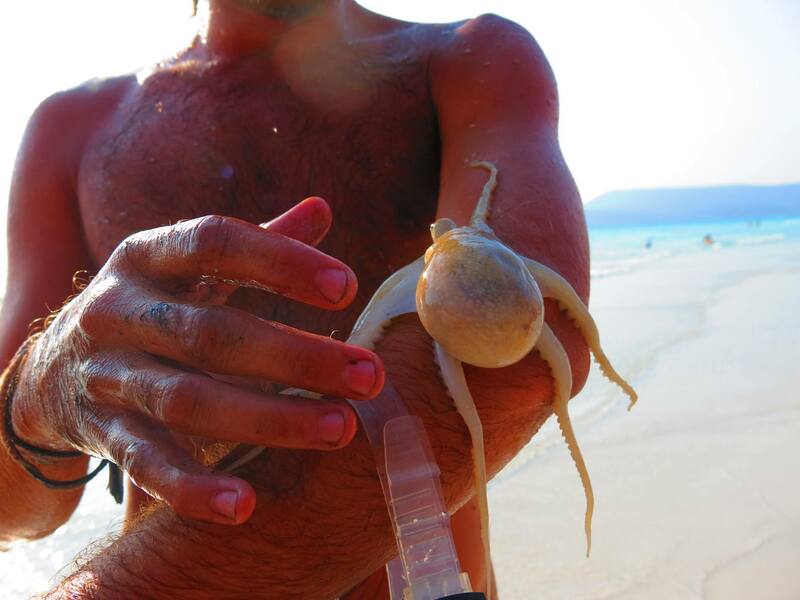 Imagine finding an untouched beach that stretches for 7km with crystal clear water, and soft white sand and octopus if you’re lucky! No stall holders, no one trying to sell you things on the beach. Just peacefulness and beauty. 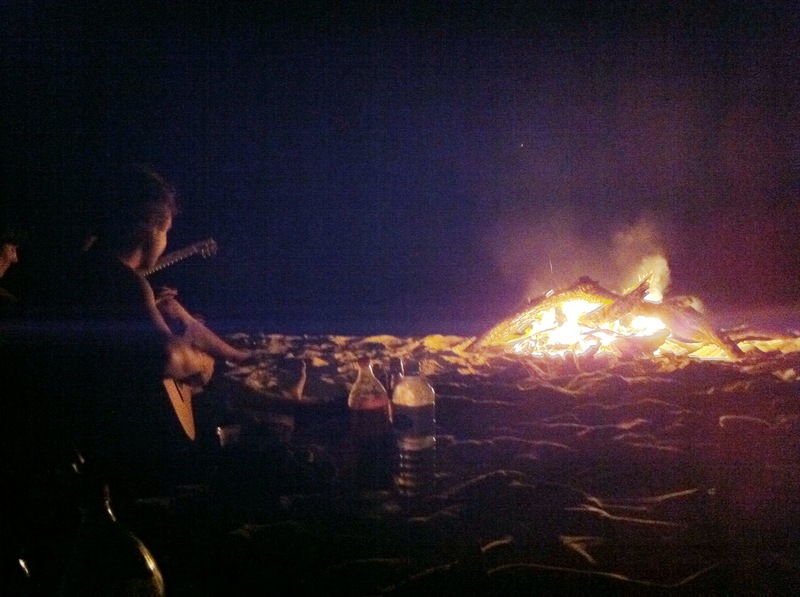 Imagine a huge group of 16 people, new friendships blossoming, a bonfire, a guitar, and endless amounts of whisky. 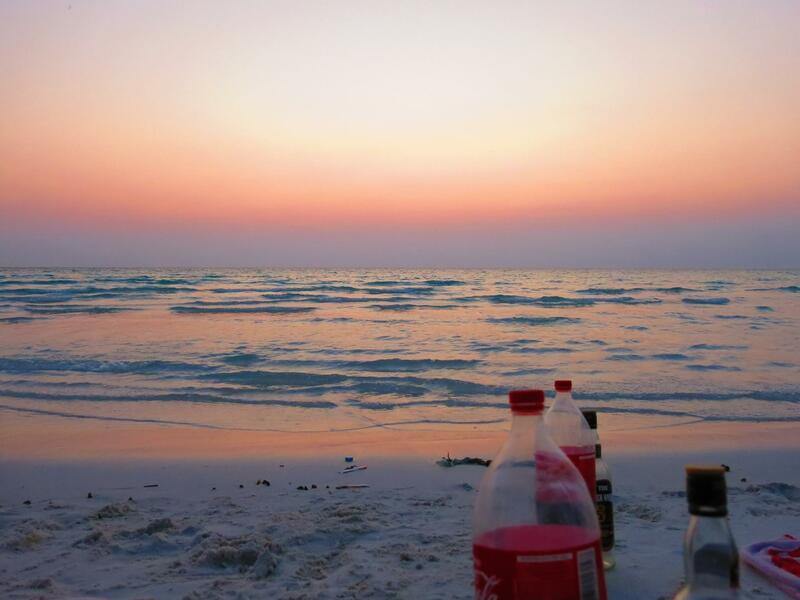 Now imagine waking up at sunrise, because it became way too hot to sleep any longer and seeing nobody else on that beach except the people you had around you. Incredible pink hues in the sky, reflecting onto the water…We didn’t need showers, we needed morning swims. So we swam, tanned, and soaked up the sunshine until we felt it was time to leave this secret paradise. Getting on that boat, I looked back knowing that it probably won’t remain like this for much longer. At the time, people reported signs of development and there was also news of putting in an airport on this tiny island. I’m just glad I got to experience it at its finest. In its most natural form. On our final night there, my best friend and I woke up hazily from our nap, after a ‘hard day’ at the beach. We got out of our room, to hear a huge commotion outside. Hundreds of people were walking in one direction, all heading to a ‘Full moon’ party on Polize beach. Of course this happened to us…weird and crazy things like this always happen when we’re together! 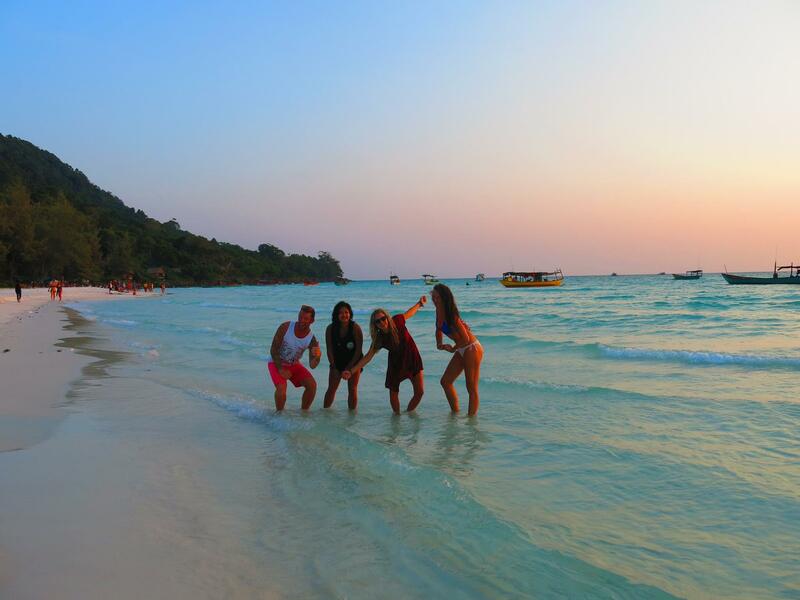 With luck on our side, we got dressed and followed this huge crowd of people to the Koh Rong version of a full moon party…. There were no lights in sight, just the sound of footsteps, and distant music in the background. Just a haze of drunken chatter, into an abyss of people dancin’ in the moonlight and making memories bound to last a lifetime.. This is how it feels to find a pot of gold at the end of the rainbow. 25 Pictures that prove you have to see Vietnam from a Motorbike.